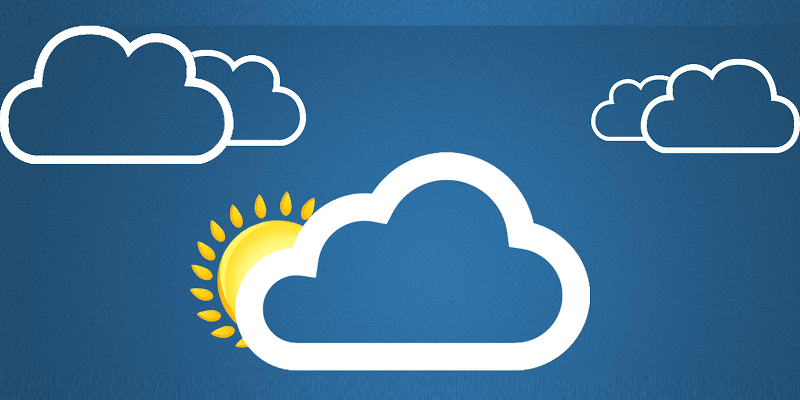 Weather apps are great for keeping in touch with tomorrow’s forecast. But it’s hard to choose which app to install on your iPhone or iPad. Some have a clean interface, while others have in-depth features. If you have been having a difficult time taking a pick, then this is the post you should be reading. The following list includes the best weather apps for iPhone and iPad to download in 2019. 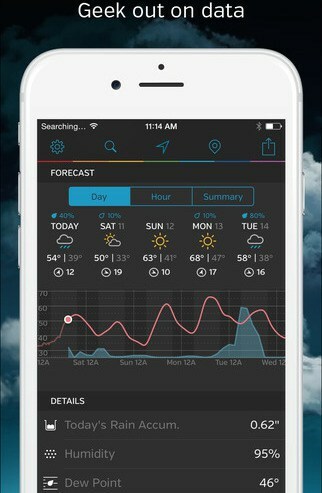 This app provides all weather data on a single screen. It shows current conditions, visibility and all upcoming forecasts in a single spot. The user can click on different areas to see more details like temperatures for the upcoming days. The app also offers a notification center widget and a temperature badge icon. It works on app iDevices and Apple Watch. It’s free to download, and an upgrade option ($4.99) removes the ads and provides weather interactive maps. This app enables users to check current conditions as well as a forecast for 10-days, 36-hours, or an hour. 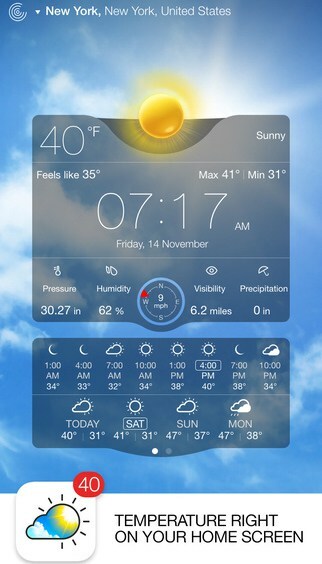 You can use the main screen to check visibility, humidity, UV index, and a lot more. Users can even check pollen forecast levels, marine conditions, and tropical updates. Videos are available for worldwide and local locations, while the user enjoys a customizable roadmap. This is one of the best weather app for iPhone. The app works on every iDevice and is free to download from the App Store. Weather Underground’s apps are tailored towards the required information of the user. It provides everything for the location, along with conditions that can be seen hourly and daily. Users can see humidity, visibility, nearby webcams, and health information. 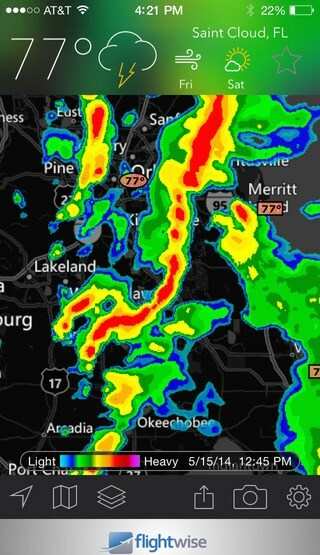 It’s possible to listen to check active storms and closest weather conditions. Maps can be zoomed in with temperature and satellite view. The app works on every iDevice and Apple Watch. Then there’s also Storm by Weather Underground for advanced storm tracking and WunderMap for an interactive Map experience. All these apps are available free of cost from the App Store. Bored with forecasts? Try Carrot Weather. 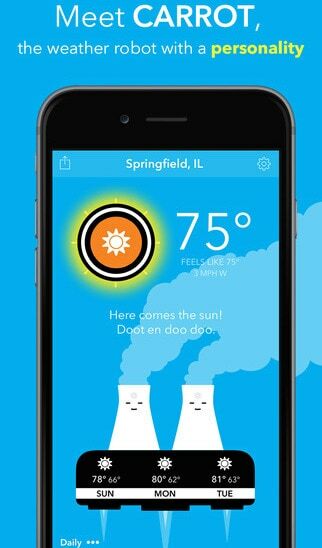 It provides you weather details with a touch of wit and humor courtesy of a talking robot. It provides hourly and current conditions as well as upcoming week’s forecast. Details like pressure and humidity are also there. 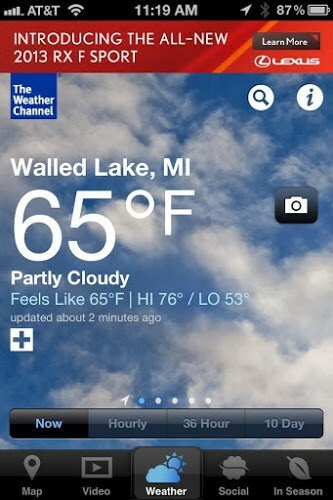 This is one of the most accurate weather App for iPhone. 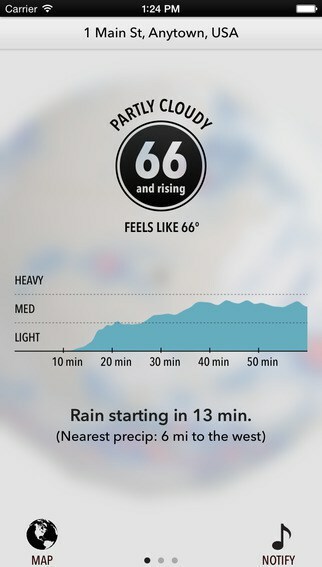 While it doesn’t have the detail as other apps, it’s a fun way to see the forecast. It can be downloaded for $3.99 from the App Store for Apple Watch and all iDevices using this link. This app provides radar maps. Options include HD, classic, or temperature map for the location with aviation layers and cloud settings. Local conditions are displayed at the top with view and temperature of the next few days. Users can pull down for the hourly and future forecasts and also see pressure and wind. There are paid and free versions of this app. The latter costs $1.99 and includes hurricane tracker and warnings. You can download it from the App Store. This app includes weather animations. It enables you to see current conditions and precipitation probabilities. See what it is like in the next 24 hours or the upcoming week. Users can see the global temperatures and precipitation on the map and zoom on any location. Notifications can be set up for snow alerts or rain. The App can be downloaded for $3.99 from the App Store and works on Apple Watch and all iDevices.